Here’s a guide for recovering protection passwords from ATA hard drives (translated). These passwords are stored in a special area of the hard disk that also contains the firmware for the device. Normally you can’t get at them but [Supersonic] walks us through a method used to grab the data off of a Western Digital Scorpio drive. Booting into a program called MHDD you are able to bypass the BIOS (which won’t allow you to read protected data) and directly drive the SATA or PATA controller on your motherboard. Once you’ve dumped the data it can be viewed with a HEX editor, and if you know where to look you can grab the passwords that are locking the disk. This reminds us of some of the original Xbox hacks which used a variety of methods to unlock the stock hard disk. Sometimes your project needs a lot of non-volatile ROM, right on cue [Matthew] let us know how to not only connect, interface, read, and write to SD cards with a PIC over serial, but also how to do the above mentioned with an old PATA HDD. 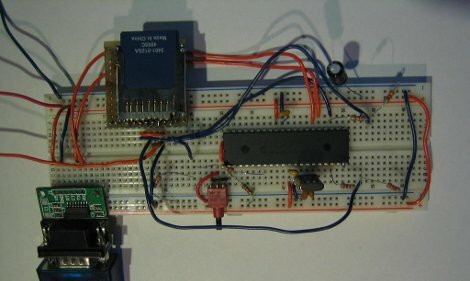 For those without a PIC/serial connection don’t fret, [nada] let us know about his Bus Pirate SD card hack, of which our personal favorite part is the creative use of an old 5.25″ floppy connector as the SD card socket. 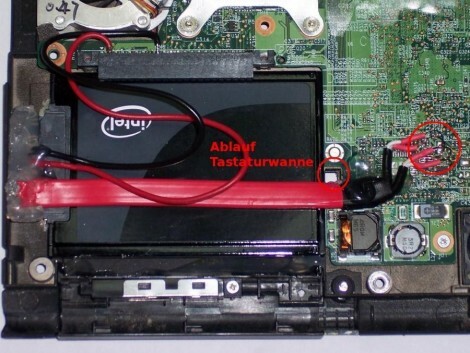 As promised, [tnkgrl] has published part two of Acer Aspire One upgrade. In part one she added Bluetooth and more RAM. This time around she focuses on the storage. The subnotebook comes from the factory with an 8GB SSD. The flash based storage readily unplugs from a small ZIF connector. 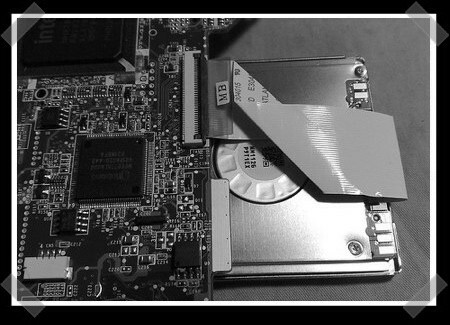 [tnkgrl] replaced it with a 60GB PATA Samsung drive salvaged from an iPod. It’s a 1.8inch disk and is only 5mm thick, so it can be tucked under the motherboard. Knowing its previous use, it should prove fairly resilient. You can view a video of the swap and more photos on Flickr. Up next is part three, where she’ll add 3G support.